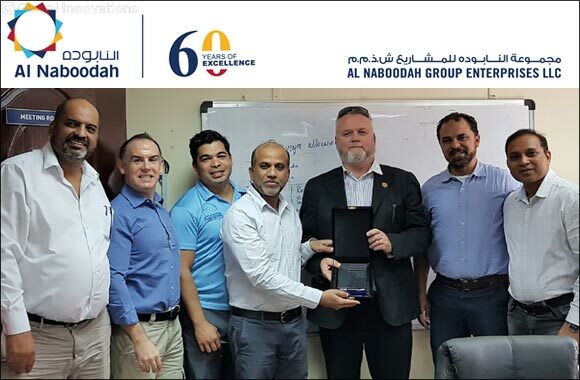 Dubai, October 8, 2018: The Civils division of Al Naboodah Construction Group (ANCG), a subsidiary of Al Naboodah Group Enterprises, one of the UAE’s oldest and most respected family conglomerates, was recently named Safety Contractor of the Year 2018 by the Dubai Roads & Transport Authority (RTA). At a prize giving ceremony hosted by the RTA, the award was presented to Mr Senan Al Naboodah, Managing Director of ANCG. The award comes following a rigorous submission and presentation process undertaken by the RTA to assess the HSE standards and culture of ANCG. With a target of ‘Zero Accidents Every Day’, Al Naboodah’s award-winning approach to Health & Safety focuses not only on compliance with UAE labour laws and regulations, but also on constant innovation and striving to improve, with initiatives including Visible Felt Leadership, a ‘See It Sort It’ programme and ECITB-accredited training for all site workers ensuring that their standards are among the best in the region.